Alzheimer’s disease and other age-related neurodegenerative disorders are associated with deterioration of the noradrenergic locus coeruleus (LC), a probable trigger for mood and memory dysfunction. LC noradrenergic neurons exhibit particularly high levels of somatostatin binding sites. This is noteworthy since cortical and hypothalamic somatostatin content is reduced in neurodegenerative pathologies. Yet a possible role of a somatostatin signal deficit in the maintenance of noradrenergic projections remains unknown. 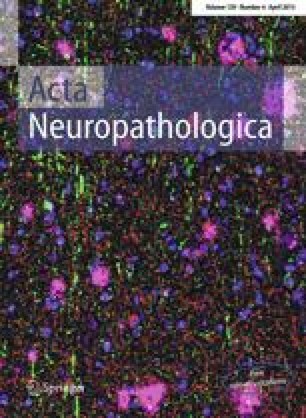 Here, we deployed tissue microarrays, immunohistochemistry, quantitative morphometry and mRNA profiling in a cohort of Alzheimer’s and age-matched control brains in combination with genetic models of somatostatin receptor deficiency to establish causality between defunct somatostatin signalling and noradrenergic neurodegeneration. In Alzheimer’s disease, we found significantly reduced somatostatin protein expression in the temporal cortex, with aberrant clustering and bulging of tyrosine hydroxylase-immunoreactive afferents. As such, somatostatin receptor 2 (SSTR2) mRNA was highly expressed in the human LC, with its levels significantly decreasing from Braak stages III/IV and onwards, i.e., a process preceding advanced Alzheimer’s pathology. The loss of SSTR2 transcripts in the LC neurons appeared selective, since tyrosine hydroxylase, dopamine β-hydroxylase, galanin or galanin receptor 3 mRNAs remained unchanged. We modeled these pathogenic changes in Sstr2 −/− mice and, unlike in Sstr1 −/− or Sstr4 −/− genotypes, they showed selective, global and progressive degeneration of their central noradrenergic projections. However, neuronal perikarya in the LC were found intact until late adulthood (<8 months) in Sstr2 −/− mice. In contrast, the noradrenergic neurons in the superior cervical ganglion lacked SSTR2 and, as expected, the sympathetic innervation of the head region did not show any signs of degeneration. Our results indicate that SSTR2-mediated signaling is integral to the maintenance of central noradrenergic projections at the system level, and that early loss of somatostatin receptor 2 function may be associated with the selective vulnerability of the noradrenergic system in Alzheimer’s disease. The online version of this article (doi: 10.1007/s00401-015-1394-3) contains supplementary material, which is available to authorized users. We are grateful for the excellent technical assistance of Blanca Silva-Lopez, Agnieszka Limiszweska and Anita Bergstrand. We thank Professor Tamas Freund, Laboratory of Cerebral Cortex Research, Institute of Experimental Medicine of the Hungarian Academy of Sciences, Budapest, Hungary for generous donation of human brain tissue. Thanks to Professors Staffan Cullheim, Department of Neuroscience, Karolinska Institutet, Stockholm and Bengt Winblad, Department of Neurobiology, Care Sciences and Society, Alzheimer Disease Research Center, Center for Alzheimer Research, Division for Neurogeriatrics, Karolinska Institutet, Stockholm, for support, and to Dr. Zsolt Csaba (INSERM, Paris, France) and Dr. Szilvia Vas (Department of Pharmacodynamics, Semmelweis University, Budapest, Hungary) for valuable discussions. Thanks to Professor Charles Glabe, Department of Molecular Biology and Biochemistry, University of California at Irvine, Irvine, CA, for generous donation of the OC antibody. This study was supported by the Swedish Research Council, Grants from Karolinska Institutet, the Knut and Lars Hiertas Minne Foundation, the Novo Nordisk Foundation, the Petrus and Augusta Hedlunds Foundation, the Alzheimerfonden (Grant 03-216) and the Hungarian National Brain Research Program (KTIA-NEP-13-1-2013-001). All procedures performed in studies involving human tissue were in accordance with the ethical standards of the institutional and/or national research committee and with the 1964 Helsinki declaration and its later amendments or comparable ethical standards.